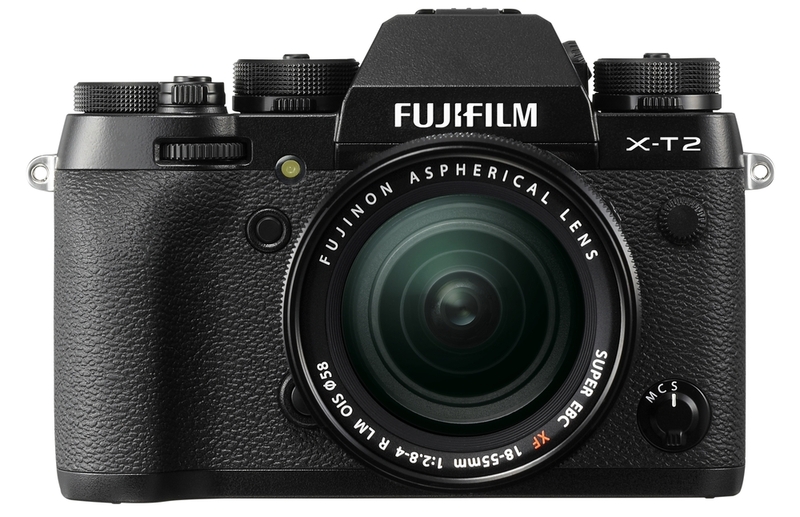 Fujifilm has announced that they will release the ultimate mirrorless digital camera that uses advanced technologies to achieve premium image quality, outstanding operability and a beautiful design reminiscent of traditional cameras. The X-T2 is a combination of the sensor and image processing engine developed by Fujifilm, with he ultra-sharp range of lenses for excellent image resolution. Fujifilm’s colour-reproduction technology delivers images of unparalleled quality and realism, recording a subject’s textures, three-dimensional feel and even the atmosphere surrounding it. The camera body is lightweight, dust and water-resistant and capable of operating at temperatures as low as -10°C. Its autofocus and electronic viewfinder performance have both been improved since the X-T1, making it more adaptable than ever before when shooting a moving subject under difficult conditions, such as sports or wildlife photography, which had previously been considered difficult with mirrorless cameras. For the first time in the X Series, the X-T2 supports 4K video recording. The Film Simulation modes, used for still images, can be applied to video to easily produce premium-quality footage. The design of the X-T2 ismodelled after the central viewfinder style of the X-T1. This proven stable form factor provides a camera that is perfectly sized with ergonomic dials laid out exactly where they are needed for excellent, intuitive operability. Couple the X-T2 with the optional grip to provide a superior balance, especially when mounted with a telephoto lens. Immerse yourself in photography through the large viewfinder with the magnification ratio of 0.77x. The sense of perfect alignment from the centre of your body to a subject through the lens creates an illusion that you have become one with the camera for the ultimate photographic pleasure. The X-T2 is to become the X Series’ flagship model long with the X-Pro2. The two models deliver unparalleled performance in their distinctive fields, with the X-T2 excelling in portraiture, nature and sports photography, and the X-Pro2 ideal for snapshots and discreet documentary photography. Excellent reproduction of colours and gradation of tones capture premium image quality in both stills and video recording. It features a 24.3MP X-TransTM CMOS III*1, an APS-C sensor with no low-pass filter boasting the highest performance in the history of the X Series, as well as the X-Processor Pro high-speed image processing engine to deliver outstanding colour reproduction and gradation of tones in both stills and videos with high ISO sensitivity and low noise. The X-T2’s video function supports 4K video recording, which is the first in the X Series of cameras. The X-T2features AF-C Custom Settings for even higher accuracy in focus-tracking moving subjects. You can customize settings to optimize AF characteristics according to the type of subject movements. The electronic viewfinder, which is used to continuously track a moving subject, is capable of displaying up to 100 frames per second, while also maintaining the magnification ratio of 0.77x and the display time lag of 0.005 seconds. The duration of the viewfinder blackout, in which the live view display blacks out temporarily while the camera reads picture data, enables up to 5fps, instead of 3fps in previous models. It boasts a compact and lightweight body, weighing just 507g (including memory card and battery), is dust-resistant, water-resistant and capable of operating at temperatures as low as -10°C. The ASP-C sensor means the camera body can mount more compact and lightweight lenses. Mechanical dials are provided for intuitive operation of all basic camera settings, including the shutter speed, ISO sensitivity, exposure compensation, drive modes and metering modes. The settings can be instantaneously adjusted even when the camera is turned off, so that you can be always ready for the next shot. The rear panel of the camera body features a Focus Lever, which can be adjusted to make quick changes to the focus area for accurate focusing. The rear LCD screen is the X Series’ first three-direction tilting display, which tilts up and down when shooting in landscape, and upward when shooting in portrait. The screen remains positioned on the optical axis of the lens even when tilted, facilitating easy high-angle and low-angle shooting. When not tilted, it fits flush to the body to maintain its streamlined design. It’s compatible with the range of Fujinon lenses, Red Bade Zooms and the Vertical Power Booster Grip to the body for a more comfortable grip and additional features. The X-T2 features Fujifilm’s 24.3MP X-TransTM CMOS III APS-C sensor, the highest resolution in the X Series. Its highly random pixel array effectively reduces moiré and false colours without the use of an optical low-pass filter to maximise the capability of the Fujinon lens range. Coupled with the high-speed image processing engine “X-Processor Pro,” the X-T2 produces image quality comparable to that of cameras equipped with a larger sensor with higher pixel count, while also supporting 4K video recording. It features Film Simulation function and Grain Effect function for creating the look of photographs taken with film cameras. Thes enhanced signal processing technology have successfully controlled digital noise even further. Improved ISO sensitivity means ISO12800 is now available as a regular ISO option. Even at ultra-high ISO settings, the camera produces low-noise images, reproducing deep blacks and smooth gradation of tones, capturing beautiful images even in low light conditions. Approx. 1.8 times the amount of information needed to produce 4K video (3840x2160) or 2.4 times required for full HD video (1920x1080) is captured to create premium image quality with low moiré or artefacts. The X-T2 supports high video bitrate recording of 100Mbps for both 4K and full HD video, enabling high-resolution footage with minimal compression artefacts. The Film Simulation modes, can also be applied to video recording. Footage in a Film Simulation mode can be further fine-tuned with “Highlight Tone,” “Shadow Tone,” “Colour” and “Sharpness” adjustments. The X-T2 supports Clean HDMI output for 4K video recording, and also offers the “F-Log” log-gamma option, which takes advantage of the sensor’s wide dynamic range to record video in wide colour gamut, facilitating video production workflow. Basic response specifications have been enhanced to the extreme in the X-T2. A start-up time of 0.3 seconds, shooting interval of 0.17 seconds and shutter release time lag of 0.045 seconds, ensure the camera operates exactly as the photographer intends. The number of focusing points has been dramatically expanded from 49 in previous models to 91 (up to 325 points). Approx. 40% of the imaging area (centre area containing 49 focusing points) is covered with phase detection AF pixels to form a fast and precise phase detection AF area that can be used in a variety of scenes. The performance of contrast detection AF, has also been improved. The data read speed has been doubled compared to previous models to achieve AF performance of higher speed and precision. Accurate focusing is obtained even at the low light condition of -3EV. AF-C algorithm has been significantly improved for even higher accuracy when focus-tracking moving subjects in the AF-C mode. You can choose individual settings for “Tracking Sensitivity,” “Speed Tracking Sensitivity” and “Zone Area Switching,” or select one of five presets that combine specific settings for these three elements. The X-T2’s 2.36-million-dot high-resolution organic EL electronic viewfinder has the magnification ratio of 0.77x and maintains the display time lag of just 0.005 seconds. Maximum brightness is doubled from previous models, the viewfinder features the Automatic Brightness Adjustment function so that it is easy to see even in intense backlighting. The EVF refreshes at a rate of 60fps, or as high as 100fps in the Boost mode to deliver smooth display of movements. The X-T2’s blackout time is less than half of that of the X-T1 due to the parallel processing of Live View display and fast shutter charging. The X-T2’s body is fully made of magnesium alloy making it not only compact and lightweight, but also solid and highly durable. The body is weather-sealed at 63 points to achieve a high level of resistance to dust and moisture and, coupled with its ability to operate in temperatures down to -10°C, is ready for full-fledged field photography. Similar weather-sealing is applied to the dust-resistant and water-resistant lenses as well as Vertical Power Booster Grip to provide weather resistance across the entire system. Download the “FUJIFILM Camera Remote” app (free) onto your smartphone or tablet device and use the Wireless Communication function to transfer photos and videos to the device with easy one-touch operation, or browse photos and videos in the camera from the device to select and download specific images, without having to enter ID or password. The app also allows X-T2 to download location information from your device and attach it to images. The app’s “Remote Control” function enables wireless operation of X-T2’s shutter, exposure, etc. from your smartphone or tablet device. The Remote Control function allows you to not only handle basic operations such as Touch AF and Shutter Speed selection, but also adjust a diverse range of shooting settings or even record video remotely. It makes it easy to compose and take a photo from a remote location when shooting a group photo, self-portrait or even wildlife in their natural environment. Wi-Fi® communication is supported for easy backup of in-camera data on your computer.